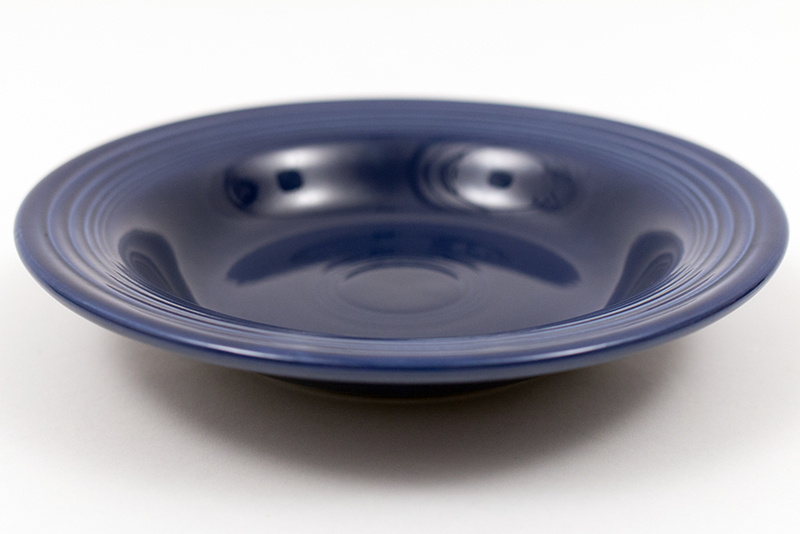 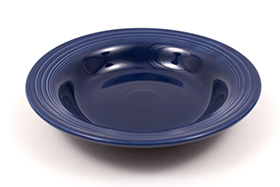 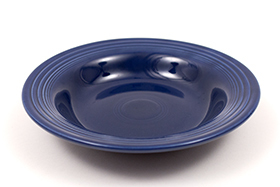 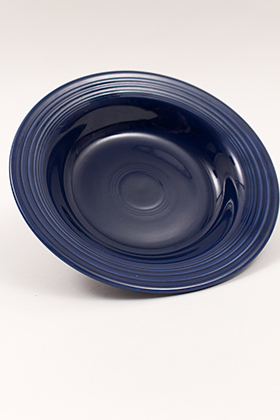 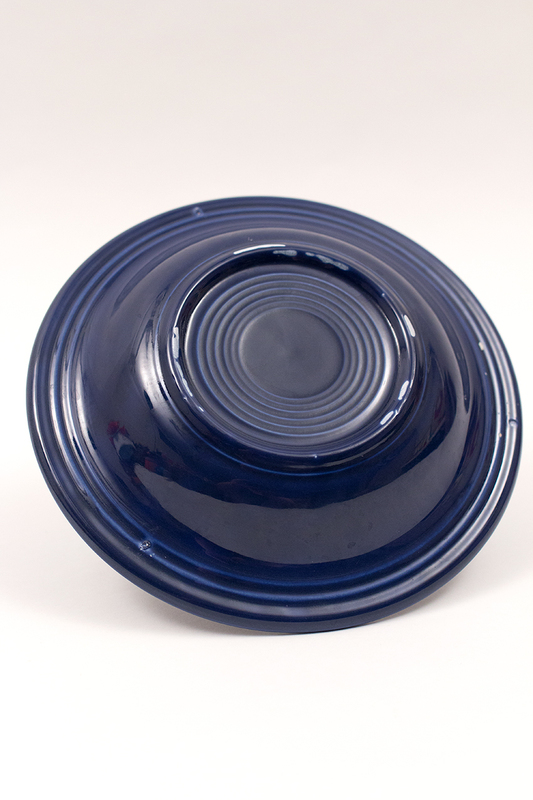 Circa 1936-1952: Finding scratch free examples of the Original blue Fiesta glaze is no easy feat. 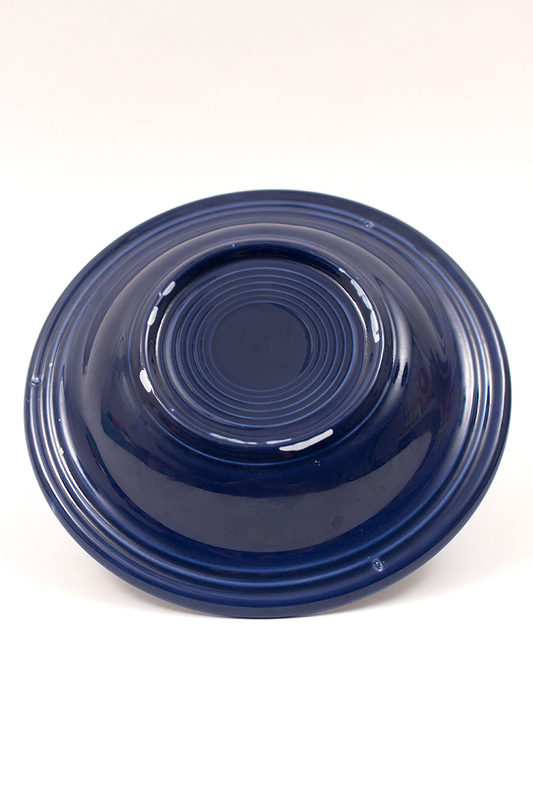 Examples such as this Vintage Fiesta deep plate in the original blue are a delight to find and make it worth the wait. 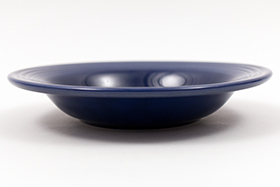 Showcasing the abundant rings that decorate the wide rim, inside bottom and outside as well. 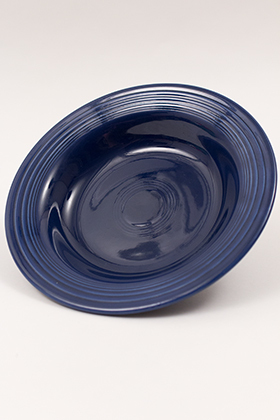 Homer Laughlin spared no expense having potters etch in bands and bands of rings by hand on their jiggering machines. This example in original cobalt is in excellent condition without damage or use. Measures 8 1/2" wide and 1 1/2" tall.